We hope that you never find yourself in need of Green County bail bonds, but if that day does come you can always rely on the trusted team at Anytime Bail Bonds Inc. Our Green County bail bonds company is ready to fight for you and make sure that you do not end up in a state prison. Our Greene County bail bondsmen can help get you back out so that you can prepare for your upcoming case from the comfort of your home. You can stop by our office at 3435 Peach Orchard Road, Augusta, GA 30906. You can also reach us by phone at (706) 823-1111. 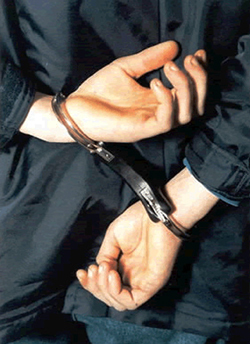 Contracting the help of bail bonds in Greene County is imperative for being released quickly. Having a bail bondsman in Green County will greatly reduce the amount of money that is needed in order to be released from jail. One more benefit is that a Green County bail bonds company can help you save time and the mess of dealing with all the paperwork that comes with the judicial process. One of our qualified Greene County bail bondsman will begin bailing out a client by securing all of their information from the arresting law enforcement agency. We will then charge a non-refundable fee that is equal to 15% of the bail amount to ensure the release of a detainee. Our Green County bail bonds company will then be responsible for the rest of the bail amount if a client fails to appear to any future court appearances. Getting bail bonds goes both ways: which is why our Greene County bail bonds company needs some key pieces of information before getting a client out of jail. We will generally require a co-signer to ensure a fast release. Another thing that we may require is that your co-signer provide a form of collateral such as a home or car to guarantee compliance with the bail conditions. Bail bondsmen in Greene County are here to make sure that you stay accountable to your legal obligations. In order to keep your co-signer from losing their collateral, you will need to make all of your court appearances on time. In addition, you want to regularly stay in contact with your bail bondsman to avoid potentially costly or time-consuming misunderstandings. Keeping your bail bondsmen in the loop and following instructions that they give is in your best interest. The bail bonds process in Greene County can be easy to get through with the help of one of our knowledgable specialists. All you have to do is hire a great bail bond company like Anytime Bail Bonds Inc. and follow the instructions given to you in order to have the best outcome. Our team wants you to come out of this whole process without any problems. Call today to see how we can help you out at (706) 823-1111, because when your freedom is on the line you can count on us anytime.